Serviced here, Non-Smoker vehicle, CARFAX 1-Owner, Clean, LOW MILES - 41,729! FUEL EFFICIENT 38 MPG Hwy/26 MPG City! PRICED TO MOVE $1,900 below NADA Retail! Turbo Charged, iPod/MP3 Input, CD Player, Alloy Wheels, ENGINE, ECOTEC TURBO 1.4L VARIABLE VA. TRANSMISSION, 6-SPEED AUTOMATIC, ELECTRONICALLY CONTROLLED WITH OVERDRIVE, ECOTEC TURBO 1.4L VARIABLE VALVE TIMING DOHC 4-CYLINDER SEQUENTIAL MFI (138 hp [103 kW] @ 4900 rpm, 148 lb-ft of torque [199.8 N-m] @ 1850 rpm). 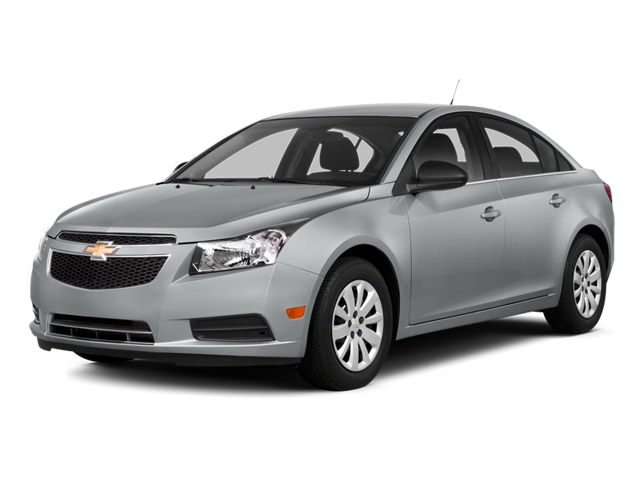 Edmunds.com explains "The 2014 Chevrolet Cruze deftly combines responsive handling with a comfortable, compliant ride.". Pricing analysis performed on 1/2/2019. Fuel economy calculations based on original manufacturer data for trim engine configuration. Hello, I would like more information about the 2014 Chevrolet Cruze, stock# 15313. Hello, I would like to see more pictures of the 2014 Chevrolet Cruze, stock# 15313.